If you are in the market for installing or replacing your roof, consider the many benefits of tile. Tile roofs are economical and extremely, making them a smart choice for homeowners. The professional roofers at Roofing Services can answer any questions you may have regarding tile roof installation. Roofing Services has been installing tile roofs for the past 20 years for residential clients throughout the local area. Call (310) 504-3290 to speak with one of our experienced roofers. We always give free estimates. Roofing Services recommends tile roof installation because of its many advantages over other roofing materials. Roofing tiles are naturally energy efficient because they are made from clay or concrete, materials that are inherently thermal resistant. Unlike other roofing materials that are installed in sheets or in an overlapping style, like shingles, roof tiles are installed individually. The space around the tiles allows for natural ventilation, providing a thermal barrier for heat transfer to the roof deck. Lower your energy bills with a beautiful tile roof, skillfully installed by the roofing professionals at Roofing Services. Installing uncommonly beautiful roofs for homeowners since 1999. Because of their versatility, roof tiles can be made into virtually any shape and style. They can be made to look like centuries-old roofing, authentic Spanish or Mediterranean roofing, wood shake, and more. They are suited to any architectural style, including; contemporary, New England Colonial, and even roofing for historic homes. 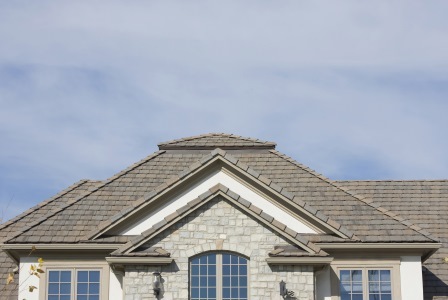 The professional tile roof installers at Roofing Services have the experience, the expertise, and the skill to install a beautifully crafted tile roof for your home. Call (310) 504-3290 for questions regarding the benefits of tile roof installation. Tile roofs offer extreme durability and multiple advantages. For an enduring roof that looks great and adds value to your home, call Roofing Services: (310) 504-3290.